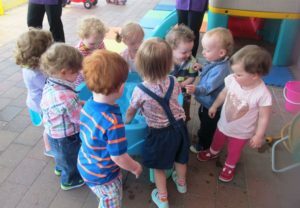 We provide flexible, affordable childcare for children aged from 6 weeks to primary 7. Happy Days is open Monday to Friday from 7:45am to 6:00pm. We provide flexible, affordable childcare for children aged from 6 weeks to primary 7. During term time we also offer a local school pick up service. In holiday time school aged children can be enrolled in full day care. We are closed on the following occasions: 1 week holidays in July and Christmas, 2 days at Easter and the May Day Bank Holiday.